CHENG LI TRADING and CHENG LI ENGINEERING & WELDING WORKS is a private company that was founded since 1988 in Johor, Malaysia by Mr Lawrence Chew. Cheng Li Engineering & Welding Works has established itself into one of the biggest machinery manufacturer in the Asian Region specialized in designing, fabricating and manufacturing of wire mesh, chain-link fencing and other construction machinery such as barbed wire, shearing, straightening and etc. Over the years, Cheng Li Engineering & Welding Works had made great achievements in Asian region, having manufacturing the first Automatic Wire Mesh Machine in the country. 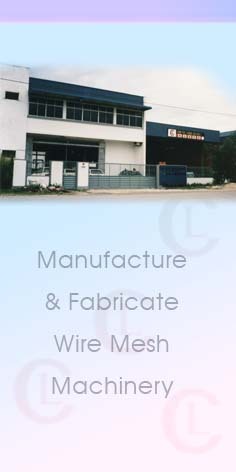 Since 1988, Cheng Li Engineering & Welding Works has todate designed and manufactured over hundreds units of wire mesh, chain-link fencing, barbed wire, straightening, shearing machinery for both the domestic and export markets such as Canada, Singapore, Brunei, China, Hong Kong, Taiwan, Thailand, Australia, Vietnam, Brazil, Jordan and Bahrain. Cheng Li Engineering & Welding Works has a local share of about 30 per cent and more than 40 per cent of its machines are exported. Customer can rely on us for routine, emergency and standby service.